The issue of undercover police working undercover in legitimate camapigns and trade unions raises fundamental democratic issues. Our branch has been a supporter of COPS (Campaign Opposing Police Surveilance) since its inception, sponsoring its early meetings and Unite has subsequently taken up the cause nationally. Former BBC journalist Micheal Gillard revealed on Twitter that the real name of the undercover police officer who posed for years as Carlo Neri to infiltrate left-wing groups is Carlo Soracchi. Unite welcomed Soracchi’s unmasking, saying the Mitting Inquiry – the official channel for which spy cops and their abuses are supposed to be investigated – is not fit for purpose. The union said the inquiry should “at the very least” be revealing the cover names of other officers who infiltrated the lives of activists – many of whom were targeted because they were trade unionists and still do not know they were spied on. Soracchi was an undercover police officer between 2001 and 2006 who infiltrated anti-fascist groups and the Socialist Party. He was involved in sexual relationships with at least three women and has been accused of attempting to incite activists to commit arson. Soracchi posed as a locksmith and under this guise he changed the locks on the properties of many of the unsuspecting people he was spying on, allowing him and the police unfettered access to their homes. The revelation about Soracchi, which has not been made officially, further underlines the growing concerns about the Mittings Inquiry. The inquiry should have already concluded but it has not yet even begun taking evidence and now will not conclude until at least 2023. 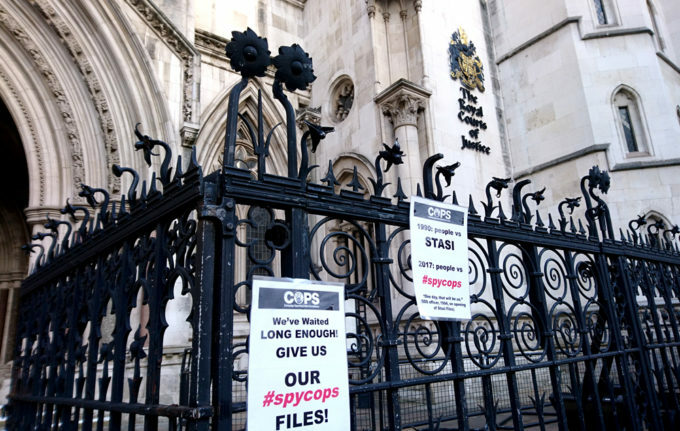 The inquiry is being directly hampered by Judge Mittings’ emphasis on protecting both the real names and often the cover names of the undercover police officers who were members of the Special Demonstration Squad (SDS) and involved in undercover policing. This means that many activists are still not aware that they were spied upon. As part of the inquiry it has emerged that Special Branch has thousands of files on trade unionists who were spied on by undercover officers. Mittings has attempted to resist the publication of these files however the General Data Protection Regulations (GDPR) may force his hand. Unite assistant general secretary Gail Cartmail said, “The final unmasking of Carlo Neri as Carlo Soracchi is an important but small step in uncovering the full truth behind this shocking scandal. No stone should be left unturned. Unite assistant general secretary Howard Beckett said everyone who was spied on should be able to access their Special Branch files. “Much of the information in these files is at best distorted and in many cases has been used to ruin people’s lives. For example there has been found to be clear links between the blacklisting scandal and the police,” he said. “If the inquiry is to be considered credible then the government needs to step in and ensure improvements. It is currently not even examining the actions of spy cops in Scotland. While the reliance on redacted documents and the number of key witnesses being allowed anonymity risks turning the entire process into a whitewash”.